Hundreds of people are expected to attend the Night of Habaneras which is taking place at the Paseo Vista Alegre in Torrevieja this coming Friday. This will be the only free performance included in the International Habaneras Contest. 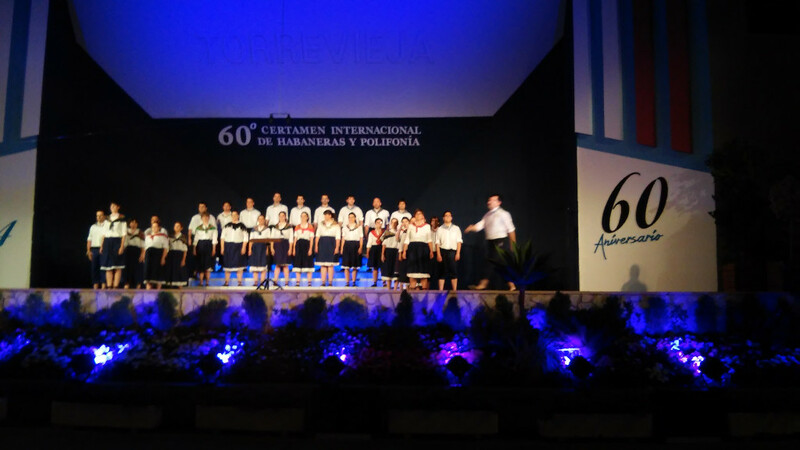 In last year´s edition, six local choirs participated in this very popular event which is always a good way to meet with friends and enjoy the relaxed atmosphere of an evening by the Costa Blanca sea while discovering the traditional Habanera songs. As presented by the Vice President of the Board of Habaneras, Domingo Soler, the Habaneras Night will feature among others the Brea y Sal choir, formed by a dozen male voices, and which will perform beautiful habanera songs accompanied by piano, guitars and accordion. The Night of Habaneras is a must prior to the International Habaneras and Polyphony Contest, which will be held from 17th to 23rd July 2017.